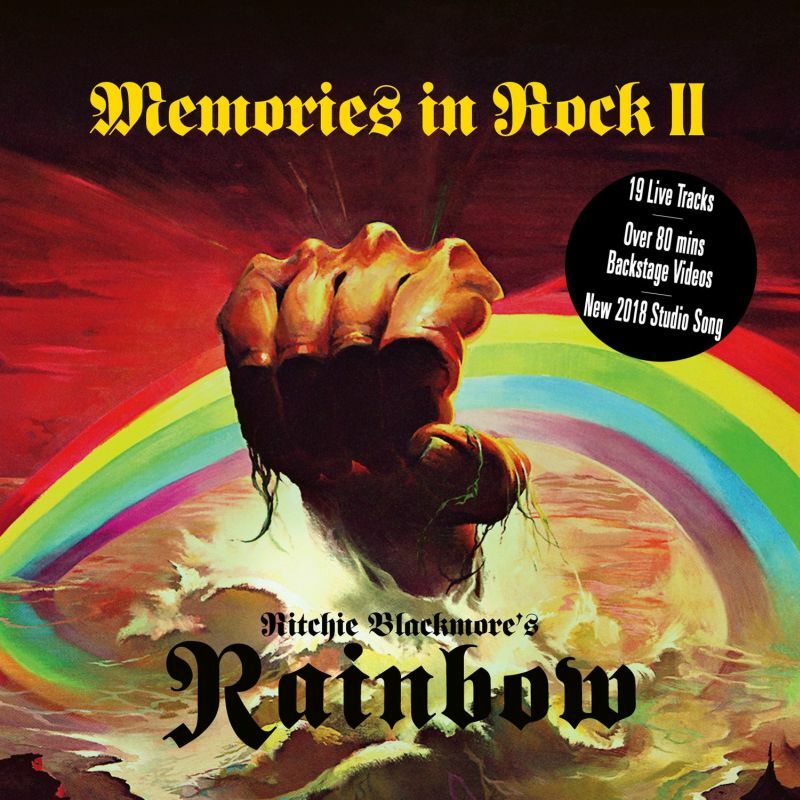 RAINBOW - MEMORIES IN ROCK II LTD. EDIT. (2CD+DVD BOX) | Online Shop | Wizard LTD. Album: "MEMORIES IN ROCK II LTD. EDIT. (2CD+DVD BOX)"
Following the successful 2016 shows in Germany (Monsters Of Rock) and the UK, Ritchie Blackmore’s Rainbow played three British shows in June 2017, which were recorded for this double CD. Together with Ronnie Romero (vocals), Jens Johansson (keys), Bob Nouveau (bass), David Keith (drums), Candice Night and Lady Lynn (backing vocals), the legendary guitarist performed a first-class mixture of classic Rainbow and Deep Purple tracks, which was exactly what the fans had requested. Ritchie Blackmore‘s brilliant guitar work can never be duplicated and is clearly a highlight of every track, but there will also be many Dio, Bonnet oder Turner fans who will be very pleasantly surprised – and convinced! – by Ronnie Romero’s incredibly powerful vocal performance. Apart from the 19 live tracks in excellent sound quality, this release boasts two further selling-points that will have fans excited: A brand new Rainbow song, ‘Waiting For A Signʼ, as well as a DVD with over 80 minutes of interviews with all band members, a Bonus Backstage Clip and a backstage video clip set to the 2017 studio version of ‘I Surrender‘. "Man on the Silver Mountain/Woman from Tokyo"